Ceylinco PLC donates for "Api Wevuven Api"
Ceylinco Insurance PLC made a donation for the "Api Wevuven Api" fund on 03rd July. The cash cheque worth of Rs. 1,300,000/= was handed over to the Secretary Defence Mr. Gotabaya Rajapaksa at a charm function held at the defence ministry premises. Joint Deputy Chairman of the Ceylinco Insurance PLC Mr. Ajith Gunawardana, Deputy Chief Executive Director Mr. Patrick Alwis and President Employees Welfare Society of the Ceylinco Insurance PLC Mr. Upali Manukularathna and some other members of the Defence Ministry's Seva Vanitha Unit were also present at the above occasion. The Sri Lanka Students Association (SLSA) of University of Texas at Arlington, United States of America, has made a financial donation for the "Api Wenuwen Api" housing fund today, 24 June. Mrs. D.B Sarlina Hami, 85, a retired school teacher made a cash donation worth of Rs. 100,000.00 for the welfare of war heroes yesterday (June 22). She made the donation in tribute of the valiant security forces personnel for defeating the LTTE terrorists and ending the three decade long conflict. According her close relatives, Mrs. Saralina Hami had donated the cash money from her savings. 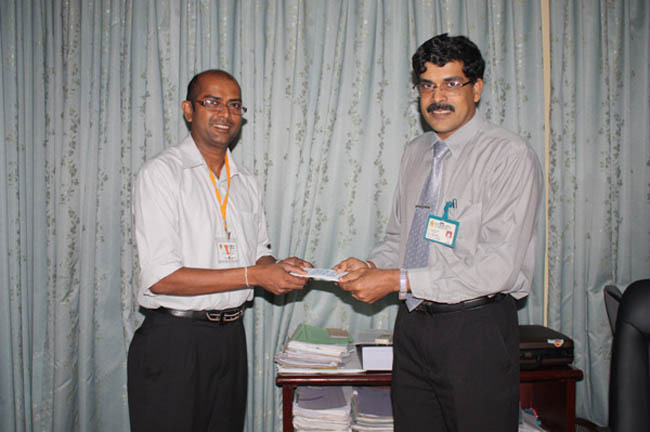 Secretary Defence Mr. Gotabaya Rajapaksa received the donation officially at the Ministry of Defence premises. President of the Rana Viru Seva Authority, Major General Palitha Fernando, officials of the Rana Viru Seva Authority and Mr. Priyantha Perera son of Mrs. Saralina Hami were also present at the occasion. A cash donation for the Api Wenuwen Api fund was made by the Regency Teas Pvt Ltd in tribute of the security forces for rescuing over thousands of civilians held at hostage by LTTE and liberating the nation from the scourge of terrorism. Mr W.D.A.S Neelanga representing 'Regency Teas' handed over the cash cheque worth of Rs. 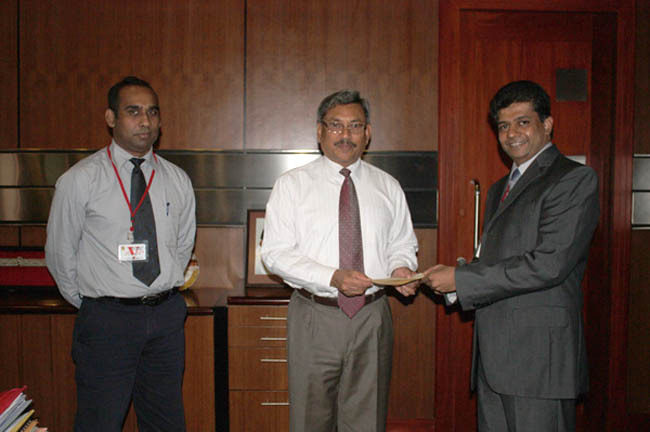 250,000.00 to Secretary Defence Mr. Gotabaya Rajapaksa on June 22 at the Ministry of Defence premises. Mr. Hiran Karunarathne from the 'Regency Teas (Pvt) Ltd was also present at the occasion. 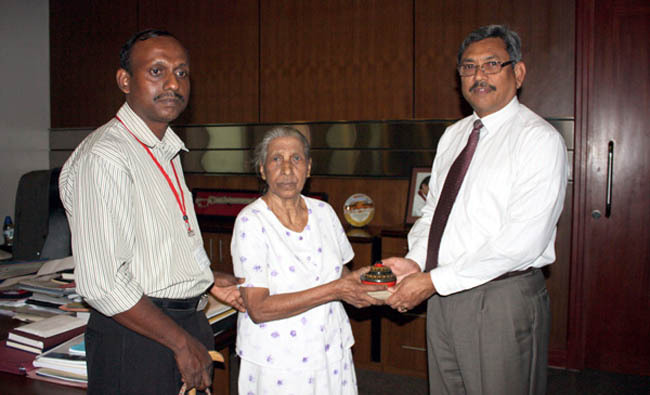 June 19 Secretary Defense Mr Gotabaya Rajapaksa handed over a new house built in Ensalwatta-Deniyaya to the parents of L/cpl D D R Pushpa Kumara who sacrificed his life for the country on 23 November 2008 in Killinochchi area. The Sava Vinitha Unit of the Ministry of Defense had financially aided to build this house and the construction work was done by the Engineering Section of Sri Lanka Army. The chairperson of seva Vanitha Unit of the Defense Ministry Mrs Ioma Rajapaksa, the vise president Mrs Indu Rathnayaka and some other officers were also present at the occasion.